As has been well-documented on this site, 1997 was a very interesting year in music. Hip-hop started taking over the mainstream, with artists like Notorious BIG, Puff Daddy, and Mariah Carey hitting #1 with songs heavily steeped in hip-hop. At the same time, teen pop acts like the Spice Girls and Hanson also found huge success and would soon lead to even bigger success by acts like Backstreet Boys and Britney Spears. Rock music was changing, too. The grunge style that had taken over in the early ’90s was on the way out, and rock music had no real identity. Radiohead’s Ok Computer was also released in 1997, and its electronic-rock influence has been well-documented. Interestingly, though, rock legends U2 released an album a few months earlier with a similar style. The title Pop suggests a move away from traditional rock music. In contrast to the reception of Ok Computer, though, some sources cite U2’s 1997 release Pop as the moment the public turned on the band. Spin called Pop their “most despised album,” and Taylor Hawkins of the Foo Fighters even detailed for the AV Club why he hates Pop‘s lead single “Discotheque.” Pop is essentially the reason U2’s 2000 release All That You Can’t Leave Behind was seen as a big comeback. U2 had actually started exploring electronica influences on their previous two studio albums, but Pop is where the influence was moved the foreground. Flood was their main producer, along with assist work from Howie B (Daniel Lanois and Brian Eno had helmed their most successful projects). As a result Pop didn’t have the atmosphere and drum and guitar parts of previous efforts. Instead there was distorted guitar, tape manipulations, loops, and samples. U2 seemed to be acknowledging that technology was changing the sonic nature of rock music. They wanted a new sound to reflect that, but they wanted the sound to still be U2. That idea translated to the lyrics as well. U2 had always been a band that used music to explore spiritual and political questions. A lot of the songs on Pop featured spiritual crisis as a central theme, which some critics saw as a reflection of the band wondering where they fit into a music landscape where “rock” was no longer relevant. That also tied the album thematically to their ’80s work more than their early ’90s work. It was a move that was divisive among fans and critics, though. Pop did initially receive some positive reviews, including one from Rolling Stone. The placement of Pop at #31 on the annual Pazz & Jop listing showed the love-it-or-hate-it quality of the album, though. In contrast The Joshua Tree, Achtung Baby, and Zooropa all received top 10 placements on the list. Pop received a good-not-great review of a B from Entertainment Weekly critic David Browne, but then fellow EW critic Chris Willman named it the best album of the year. Commercially, the album fared even worse; Pop sank fast. After a #1 debut, the album was off the sales chart in about 6 months time. Despite those sales, Pop was further proof that, as Browne said in his review of the album, “U2 smartly sensed that rock and pop culture were mutating into an amorphous, media-saturated blob.” U2 had started showing signs of that mutation with its 1992 Zoo TV Tour, which was a multimedia event that utilized satellites, video, and phone calls. 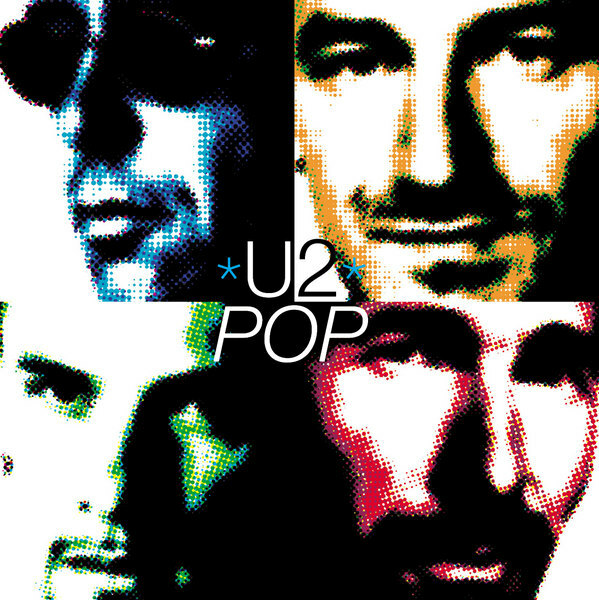 In hindsight, though, Pop still showcased what made U2 the biggest band in the world. The album continued U2’s knack for tapping into the zeitgeist, and some of their musical trademarks were still present. “Staring at the Sun” is the kind of anthemic stadium jam U2 mastered in the 80s. An album track like “MoFo” did recall the Chemical Brothers, but then “If God Will Send His Angels” is as delicate and powerful as “One.” If anything, previous album Zooropa was perhaps even more ‘modern’ than Pop. And again, Pop pre-dated Radiohead’s Ok Computer by a few months, and it was released a full year before Madonna brought electronica elements to mainstream music on her 1998 release Ray of Light. It’s a bit ironic that U2 received criticism for trying to embrace the changes in the musical landscape and were then praised for returning to their roots a few years later with the safe All That You Can’t Leave Behind.